Only some serious channeling of the inner Stoic prevents me from whacking something heavy and blunt through the screen of my phone. 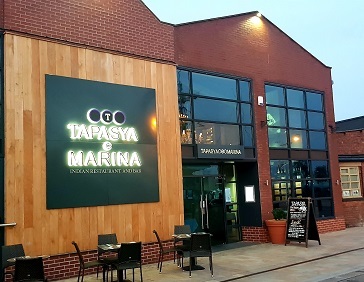 The booking’s been made and I’m now perusing the Tapasya website where there’s talk of “a vision”. Chilling phrases like “opulent surroundings”, “decadent dining experience” and, deep breath, “gastronomic journey” are bandied about as if Escoffier himself might just be on the hunt for a spot of tea in Hull. It’s nearly enough to make us cancel, which is a shame, because beyond the fine dining daftness and the website hyperbole there’s some very good Indian scoff to be had here. 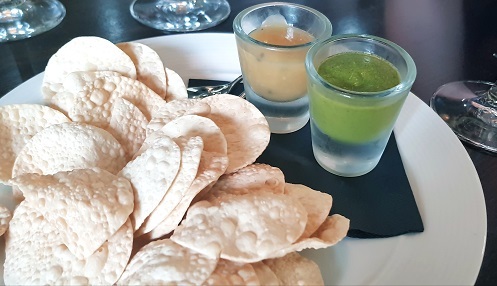 Some mini poppadoms do look disarmingly like the ones that come in packets in the pub, but while I’m pretty sure they’re not, (these are fryer-fresh) once they’re anointed in a zippy and properly spicy mint chutney I don’t think I’d care if they were. 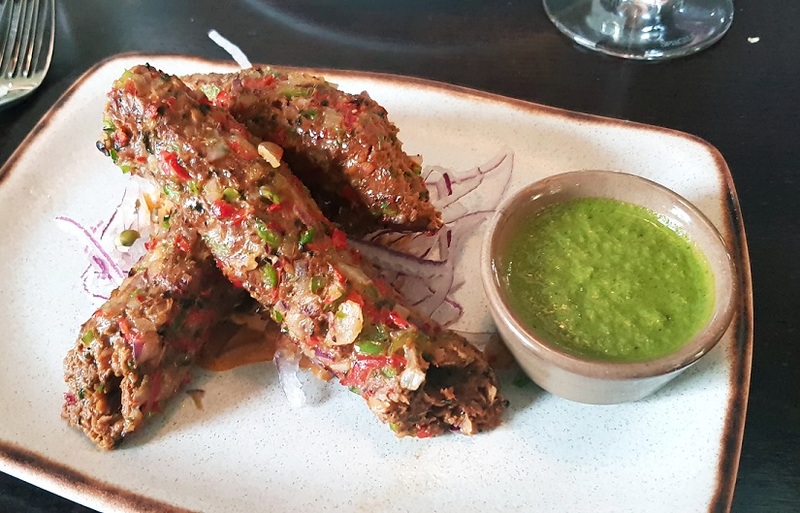 More of that spiky fresh chilli flavour comes in three venison kebabs (£7.95) which are tender and light and worlds apart from the dry and dodgy versions I’m more familiar with. I’m not sure if venison kebabs are ‘a thing’ – definitely not where I’m from – but the dusky meat accommodates the spices nicely, and although a little more smoky char on the outside wouldn’t go amiss we reckon at this point that we’re in safe hands. 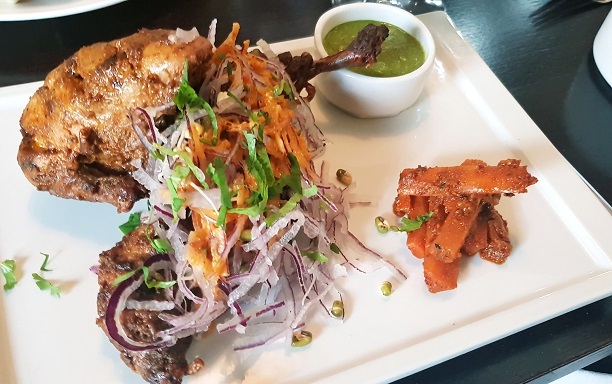 Should you want to indulge in some of the aforementioned decadence then there’s “duck with chattinad spices” or “sea bass with Kerala coast fish curry” to be got at. However, we’ve had a few in local-boozer-of-acclaim The Minerva so ‘decadence’ takes second place to ‘I’m starving’ and, instead, we go relatively old-school. And, despite best efforts, there’s no way to pretty up a carcass either, but there’s plenty to admire in the eating of a whole poussin that’s been generously marinated in Good Things and blasted in a scorching oven. 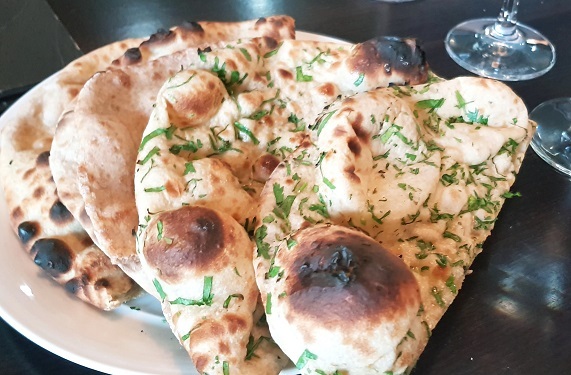 A bread basket for 6 quid contains good, pliable naan and decent if a little dry roti. I’d prefer a chapatti or seven of course, but there are, alas, none to be had. So what about that “fine dining” tag? Well they do the infuriating thing with the wine (a Gruner Veltliner at £29) where it’s poured and then taken away when, really, we just want to neck the stuff; and there’s some plinky plonky piano muzak wafting about, but it’s actually a much warmer and welcoming spot than the website suggests. The team running the show are as relaxed as the boats bobbing about in the nearby marina. We leave reflecting how pedestrian we’ve been in our chickeny choices, imagining those punchy marinades and zesty chutneys on fat prawns or a slow-cooked slab of lamb. 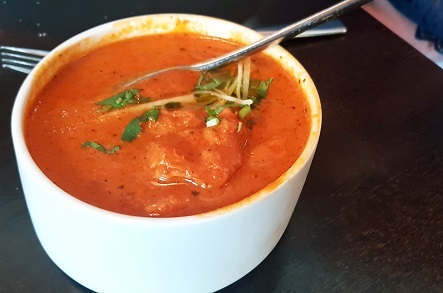 The chefs at Tapasya know how to ramp up the curry flavours without resorting to the old post-pub curry tropes. Maybe they could have a look at the website, too. More of this stuff on Twitter.